Vertebrae are numbered and named according to where they are located in the spinal cord. The spine is divided into four regions which contain vertebrae: the cervical, the thoracic, the lumbar, and the sacral. Hover over each part to see what they do. 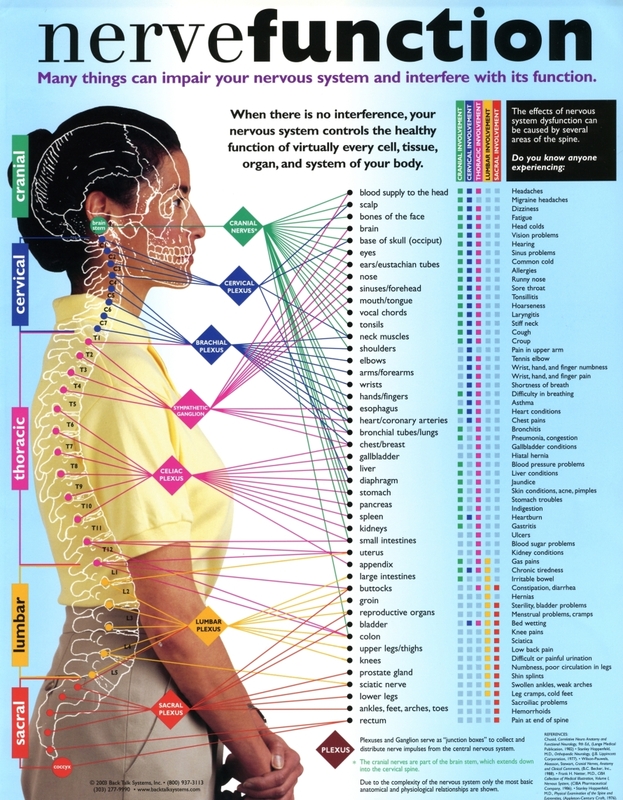 Sometimes referred to as our body’s “information highway,” our spine and each vertebrae section is connected to different nerves and body parts, and each vertebrae section is related to different physical ailments. What Does The C1 Vertebrae Control? What does the C2 Vertebrae Control? What does the C3 Vertebrae Control? What does the C4 Vertebrae Control? What does the C5 Vertebrae Control? What does the C6 Vertebrae Control? What does the C7 Vertebrae Control? What does the C8 Vertebrae Control? What does the T1 Vertebrae Control? What does the T2 Vertebrae Control? What does the T3 Vertebrae Control? What does the T4 Vertebrae Control? What does the T5 Vertebrae Control? What does the T6 Vertebrae Control? What does the T7 Vertebrae Control? What does the T8 Vertebrae Control? What does the T9 Vertebrae Control? What does the T10 Vertebrae Control? What does the T11 Vertebrae Control? What does the T12 Vertebrae Control? What does the L1 Vertebrae Control? What does the L2 Vertebrae Control? What does the L3 Vertebrae Control? What does the L4 Vertebrae Control? What does the L5 Vertebrae Control? What does the Sacrum Control? What does the Sacral Plexus Control? What does the Coccyx Control?